One Sunday. One Venue. One Love - Food. Bangalore's largest food festival is back and with 50+ restaurants, we're creating the ultimate food paradise. The gorgeous lawns of The Royal Orchid Hotel, Old Airport Road will be transformed into the ultimate food fiesta with some of the best restaurants in the city, pop-up eateries, food trucks and everything food. 50 + Restaurants, 30 + Dessert stalls, specially curated vegan area, interactive masterclasses and food demonstrations are just the beginning of the perfect Sunday! 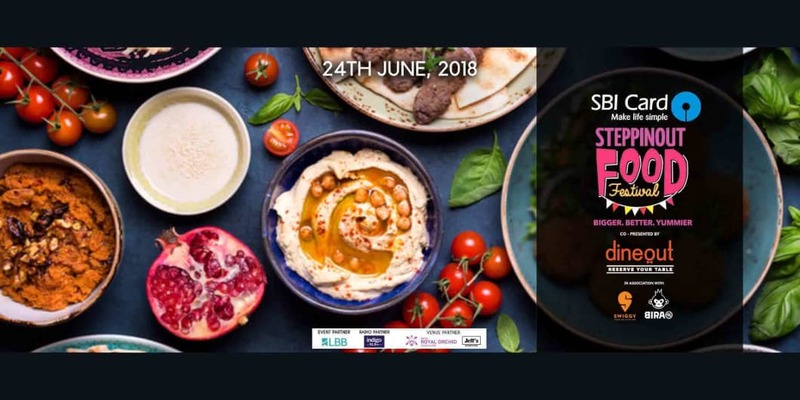 The SteppinOut Food Festival will be the first food festival to host interactive masterclasses with individual workstations for each participant. 12 hours + The Best food that Bangalore has to offer.